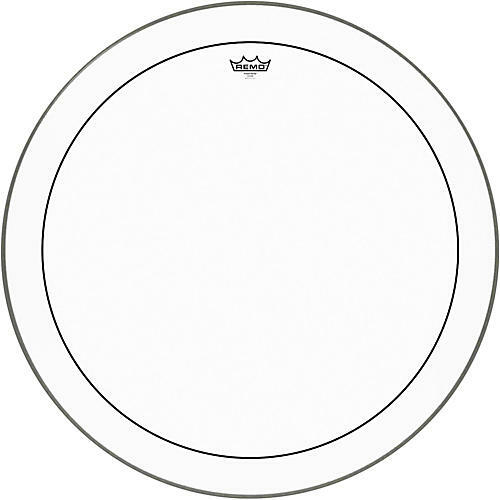 Open Box Remo Pinstripe Clear Bass Drum Head 30 in. The Remo Pinstripe Clear Bass Drum head is made from two 7-mil plies with an overtone-reducing agent between them at the outer edge. It gives you an internal muffling system that dampens unwanted high frequency overtones for warmer resonance.